Moving companies in Westlake Village can be found everywhere. Finding a quality and reputable Mover out of the bunch will narrow you choices down considerably. 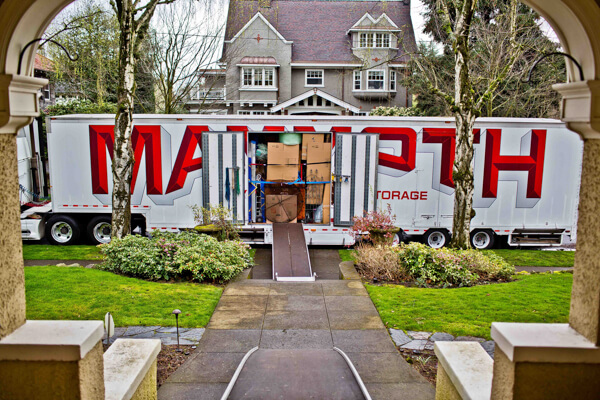 Mammoth Moving has been providing West Lake with impeccable award winning moving services since 1974. Residential Moving Services – Mammoth Van lines will relocate your home or office with its long distance mover services from Westlake Village to any where in the US. Our West Lake Long distance Mover services will include a white glove service, paired with air-ride trucks and the best movers in the industry. We can provide full service packing and storage solutions as well. Hotel and Designer Services – Hotel projects and designer projects alike are matched perfectly with our high end moving and storage services. Mammoth Moving can provide full receiving, inspections, storage and white glove delivery service to all areas of Westlake. We have provided some helpful links below to local service providers and city information you may need in West Lake. We love a good recommendation, below you will find ours for food and drink or even a plumber in West Lake. The city of Westlake Village is located on the western edge of Los Angeles County in the Conejo Valley, and spills over the Ventura county line. It encompasses half of the area surrounding Westlake Lake. Like its larger city neighbors, Westlake Village offers safe streets and good schools, as well as picturesque hillsides, hiking and equestrian trails. It also boasts local dining, and free entertainment and performances in the summer through the TGIF @ The Civic Center program.